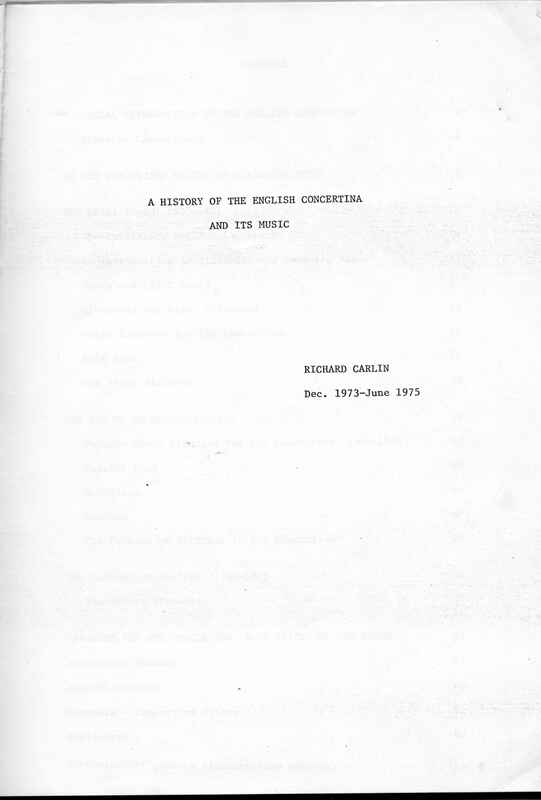 Full Description: Harry Minting's personal copy of Richard Carlin's 74-page article on "A History of the English Concertina and its Music", written between Dec 1973 and June 1975.'' 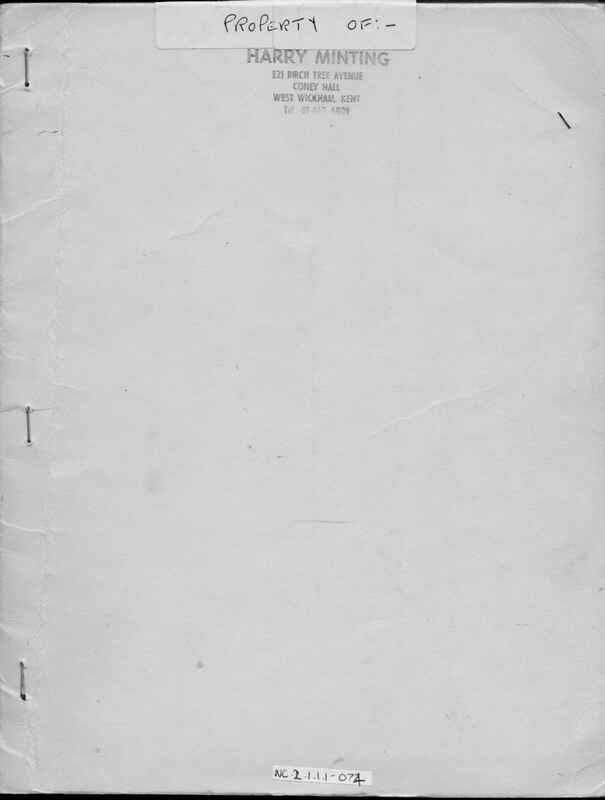 It bears Harry's address stamp, and a further label "Property of"! 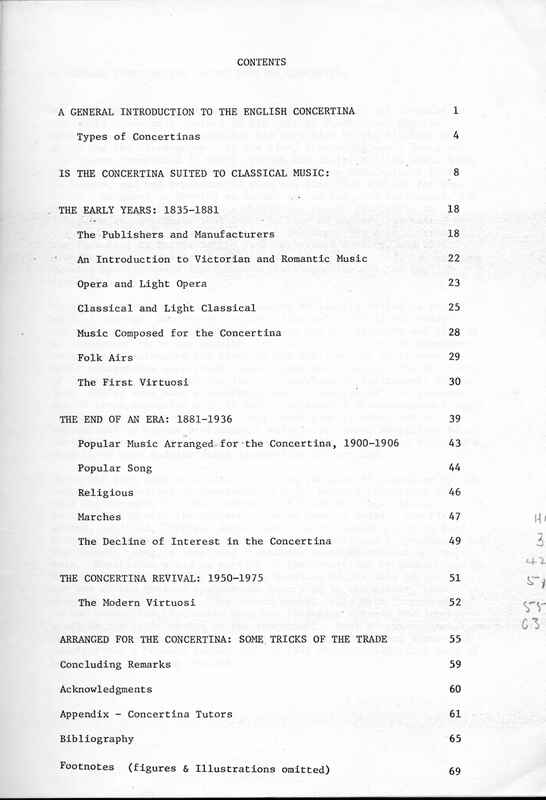 Though Richard Carlin's concertina-related articles and papers are on line at www.concertina.com/carlin/index.htm , this particular article has not yet been digitised.